There’s a classic Seinfeld episode where the character of George, played by Jason Alexander, is concerned that people he knows from one context are invading an entirely separate context. “Worlds Are Colliding!” he announces to anyone who might care. You can imagine my surprise when Leonard, a cousin I hadn’t seen in nearly six years showed up at my workplace. When I say “at my workplace,” I literally mean at my desk. He told the receptionist that I was expecting him and without stopping, pointed down a hallway and said, “His office is this way, right?” to which she could do no more than nod. He said that I had posted online that I was off to a residents’ meeting in our building and since I had told the world what I was doing, I seemed to be asking for company. He even told the association’s Vice President at the door that I had invited him. I like Brian and I would be willing to go for coffee at a moment’s notice, but I didn’t see what he was going to get out of our 45-minute discussion to change two of our bylaws and discuss parking problems. When we reached the latter, his hand suddenly shot up and he started describing the parking problems at his building on the other side of town. Like Seinfeld‘s George, I was succeeding in keeping my worlds separate. But suddenly the walls were crumbling. In the case of Leonard, I had to use some tough love. My workplace isn’t a family reunion. In the case of Brian, I tackled the problem at the opposite end and got our condo Vice President to be a little more restrictive when random visitors show up at meetings. For my part, I tried to analyze how much of my life I was sharing with whom. Should my cousins know where I work? Certainly. Why not? Should they know we have marketing issues along the Atlantic seaboard? No. Not at all. Should my worship team members know I’m the Treasurer of our condo board? Hopefully it sets an example of how we should be involved in our communities; how we need to be salt and light. Should they show up at business meetings? No. That’s ridiculous. Fortunately some of my social media interactions take place on closed pages. But I also believe in transparency. I don’t want to have to block certain people from certain parts of my world. I don’t want to be perceived as having secrets. But Leonard, I swear if you ever start giving marketing advice to my boss again, I will give him my blessing to call security. And Brian, next time you want to drop over, let’s make it my living room instead of the common area meeting room, okay? ► So how about you? Has social media meant that worlds that might have previously had a buffer zone of separation are now open-access to everyone? Do you have trouble keeping your life compartmentalized? Or is this not necessarily a priority objective? Another Blogger Lost to the World of 280 Characters? The nice thing about Twitter is that nobody there is ever angry. Some of you may have seen this on Facebook. That’s rather ironic; since it does not paint the social media platform favorably. The timing on this is interesting, since I was planning to write about this topic anyway. 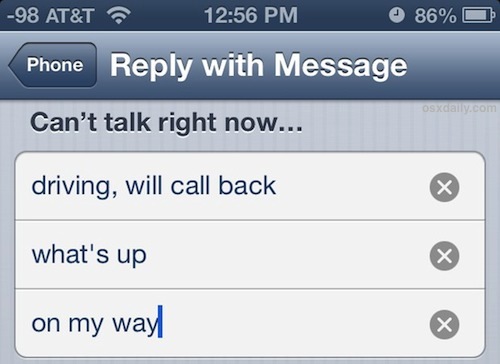 I’m not opposed to technology, nor do I resent the application of social networking. Rather, I was going to write something like, “I just want to go back in time and use the internet as it was in 2003.” That’s right; 15 years ought to do it. Like many of you, I couldn’t help but notice that increasingly, Google was giving me the answers I was looking for right on their results page, without my needing to make a second click. Appreciating the convenience I didn’t really pay much attention to this, until publishing and media watcher Tim Underwood linked to a piece at Mashable titled, Google is Eating the Open Internet. The rather opened my eyes to the present situation: Instead of being a site which refers you to people who have the answers, Google is now seen as provider of those answers. …Brian Warner, founder and CEO of CelebrityWorthNet.com, understands perhaps more than anybody the power of Google’s wall-building. …There’s also a steady stream of more subtle indications of Google’s inward pull appearing every day—features like on-site hotel booking, restaurant menus, spa appointment tools, and dropdown recipes to name just a few. These tweaks might sound minor, but Google’s position as the web’s central nervous system means they can have a big impact on smaller businesses that orbit it. In the long run, though, there seems to be a pretty glaring hole in this plan. That is, as Google likes to reassure wary publishers, it’s not in the content business. Facebook was the interlocutor, the middleman who slipped between readers and journalists and siphoned off the money. When I step onto the thing for even a moment, I make money for Zuckerberg. I work for him, not the Toronto Star. I wouldn’t mind being followed for weeks by ads for the hand vacuum (designed in England, made in Malaysia, which is why I despise Dyson) I ordered five minutes ago from an online retailer with no discernible connection to Facebook. But I do mind that my salary was effectively lower this year because Facebook knew this, its targeting having destroyed the print and online ads on which the Star itself relied. I take a dim view. With less money, I’ll buy fewer things advertised on Facebook, but it doesn’t care. It’s in the business of attention, not retailing. Its hands are clean. For my Christian readership at this page, this is important. Obtaining the “answers” or “results” one is looking for without clicking through to see the full context of the page from which the mighty search engine derived them could be devastating, especially as the field of material offered grows to include things of religious or theological interest. At best, all of our online sites are somewhat subjective, including this one. But I’ll have more to say about that tomorrow. The article resonated with me from the moment I saw the headline. It also reminded me of something else, a parallelism to the stated subject worth mentioning. Furthermore, I also had a source I could quote that would certainly make an impression. So I left the comment. Not even twelve hours later, I’m looking at the comments which followed mine and realized something: I had completely missed the main point of the original post. I had wandered into the land of the tangents. The author of the blog is an author, an academic, a theologian. I tracked down his email address through the school where he was teaching at the time. I told him that I sincerely believed I had something to contribute to the discussion but now realized my comment simply didn’t belong and humbly asked him to please delete it. …The word nuance applies in more locations and situations than we realize. It’s possible to see the surface of something but not really grasp what’s going on. Like Asperger’s kids we can miss the sarcasm. Or perhaps we simply didn’t hear the latest development in an ongoing story and aren’t getting all the references. But there is a time to be Captain Obvious as well. But then I will do the same thing, only I justify it in my case because I’m making concessions to certain readers or followers who are in on the thing vaguely cited. …I’d like to think the theology professor appreciated my candor in requesting the comment’s deletion. It was a reminder that some things, while they may not be above your pay grade, are above your realm of experience and education. Occasionally I take a day to simply reproduce Tweets here for those who don’t use that platform. 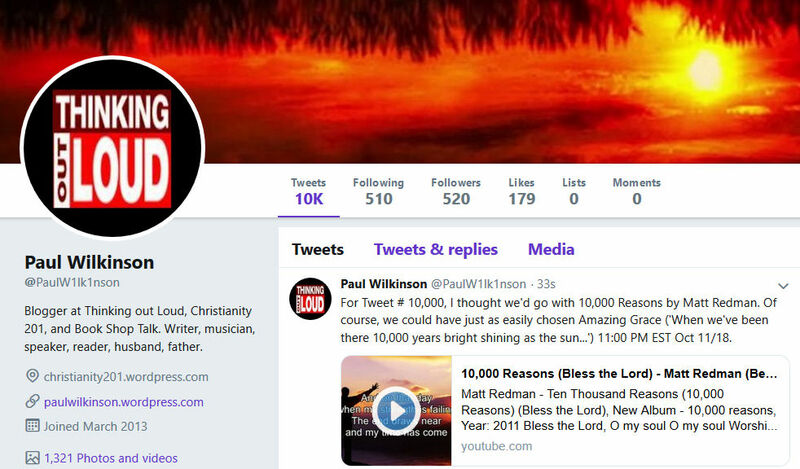 For those of you with slow loading times, we’re just doing text, but you’re encouraged to visit me at Twitter.com/PaulW1lk1nson (change the letter “i” to number “1”) or simply click here and bookmark. Fun car game: Flip the radio to various Christian stations carrying preacher programs and see who can first guess what major Bible story they’re doing. 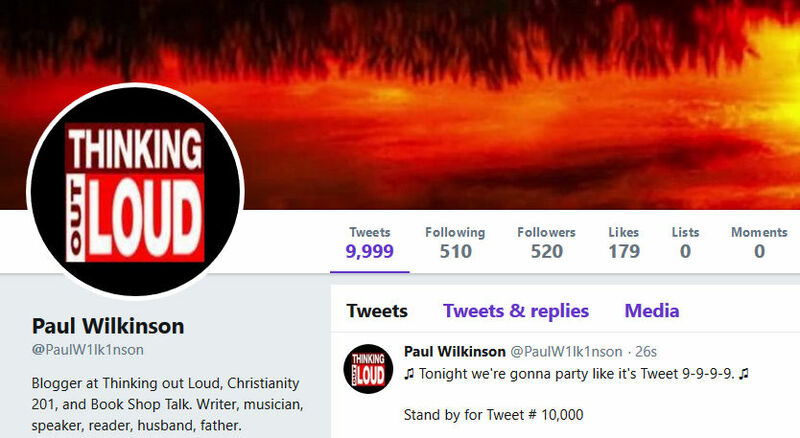 [Drew Dyck] When it comes to end times prognosticating, the trick is to change up the antichrist candidates while keeping the 1980s designs & graphics. The people making Christian giftware do know there are other scripture verses besides Jeremiah 29:11, right? How tattoos work: Once you chose Option #1, you’ve automatically eliminated Options #2 to 999,999. [Youth Group Boy] Rather than build a wall Trump just needs to talk to my church – they’ve kept minorities and those who are different out for years. Need to rethink the classic Neil Diamond song: ♫ On the boats and on the planes They’re coming to America… ♫ — not anymore! not restricted by the need to rhyme. For some time now, I’ve ended the day unwinding with a 20-minute podcast compiled from excerpts of The Brant Hansen Show. Brant‘s a long-time Christian radio guy who has served with Air-1 and WAY-FM. He’s joined daily by producer Sherri Lynn to whom God has apparently given the gift of laughter. On the sidebar of Brant’s website I kept noticing a reference to Brant’s book, but I figured it to be some self-published project, after all, these days everybody has a book. Only a few days ago did I realize it had been released through Thomas Nelson, and decided it warranted further investigation. Unoffendable: How Just One Change Can Make All of Life Better was actually released in the spring of 2015, so we’re coming up to two years. 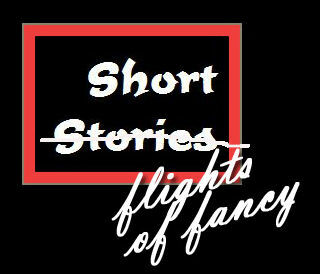 (You’ll notice my blog hasn’t been reviewing new releases lately; I just share what I’m enjoying.) If you think that the people in Christian radio are somewhat shallow, you’re going to be pleasant surprised — perhaps amazed — at the substance in this book. 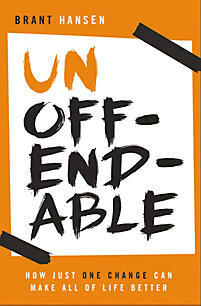 Basically, Unoffendable is a study of instances in scripture (and real life) where anger is a factor. You could call the book a treatise on the theology of anger, though I prefer to take a positive spin and emphasize non-anger. We can be so quick to assume, to lash out, and to hurt. Our knee-jerk reactions aren’t good for the people in our line of fire, and they’re not good for us. The timing on this is significant as commentators are constantly reminding us that the hallmark of social media in particular and the internet in general seems to be our ability to be easily offended. At everything. We are an offended generation. The book isn’t necessary a self-help title. You won’t find, for example, six steps to avoid getting angry. Rather, through personal anecdotes and lessons from scripture, proceeding through the book’s chapters instills a climate of non-offense as you read. There’s a sense in which the book has a calming effect. In many respects, the book is an extension of and consistent with the radio show. There are sections where Brant quotes letters he received from listeners and in my head, I was hearing those as the phone calls he takes on air. Our ability with today’s technology to access spoken word content by authors means you can really allow your imagination to hear the author as you read. We found a station that streams the whole show — not the podcast — daily and listened in just to get the feel. I encourage to get your hands on this. Read it for yourself, not just to give to so-and-so who gets mad so quickly. I think there is a sense in which we can all see ourselves within its pages; because we all have times where we’ve over-reacted. Order Unoffendable through your favorite Christian bookseller; or get more info at Thomas Nelson. Thanks to Mark at HarperCollins Canada for the review copy.